Wondering what we’re all about? Well here’s some of the information you’re looking for. We are all ex-broadcasters, some of us have gone back to terrestrial radio, but we blog about things going on locally, in the world of sports, geek culture, technology, and entertainment. 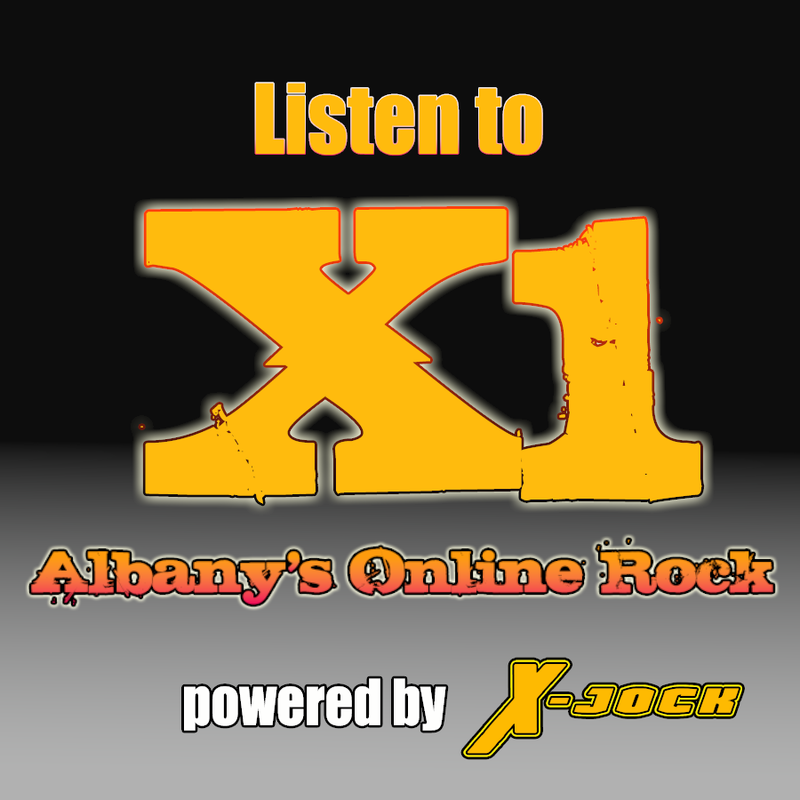 All of our content is produced and recorded locally in Albany, N.Y. Between all of the authors here, we have a combined half a century of experience in the broadcast radio field doing various jobs such as on air, promotions and digital content creation. This blog was started to as a way for us to keep our skills fresh and to explore, as well as, move into the world of online and new media. We then launched a podcast, called The X-Cast, that you can find on many streaming radio apps and iTunes. 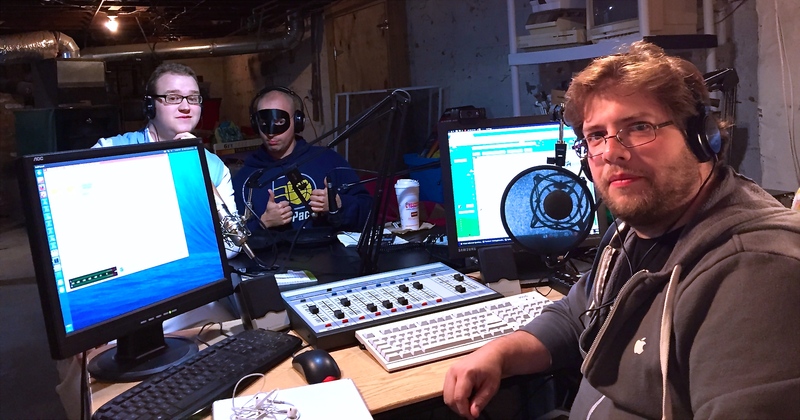 We then added a second podcast called The Geek Show, all about geek pop culture, like TV, movies, comics and games. And most recently, we just added a 24 hour streaming rock station, and we now have our first original music show called the Sanforized Hour. Visit our Podcast and Shows webpage for more information about the shows. We use a combination of Mac and Linux (Ubuntu) computers to produce our shows. Our automation system, for playing our sfx and themes, as well as for music play out. For that we use the open source Rivendell Radio Automation. We use Adobe Audition for recording and mastering our shows. Our broadcast console is an Arrakis Arc-8. It’s an 8 channel Analog/USB digital board. We use this to tie all our audio together along with a Alesis MultiMix 8 USB mixer. BJ and Monte use a CAD GXL2200 and Audio-Technica ST95 MKII microphones respectively, and Rich uses a Heil PR-40 at the main control position. 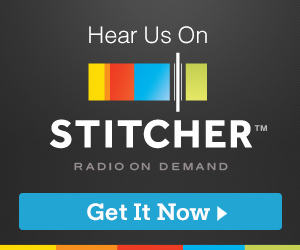 Have you guys started podcasting yet? Hey Buzz! Thanks for stopping by! We’re hammering out a schedule for all of us to get together to record. We don’t want to do the Skype thing because we think in person gives us better interaction for the conversations. If you could check out my artist Paullie G! He’s done the Inspired Mindz tour with Fitted and was even featured in both the XXL & Hip Hop Weekly articles. Extremely talented! Check out “The Season” feat. HMOB, “What It’d Be Like” feat. Dom Pat, “Leave the Past Behind” and “Just Breathe”. I would be interested in discussing a possible interview and ways of your website could help promote this very talented up and coming artist from the 518! You have a fantastic blog!